With these shifts come big changes to your roles and responsibilities as an IT team, but they don’t change everything. 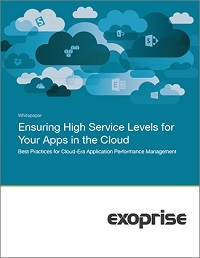 You still own availability and performance for apps in the cloud and you still need to manage service levels and user experience. How do you survive and thrive in the cloud?